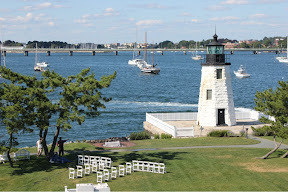 Yesterday we took some time to do the sights in Newport. I admit, I had not really thought of this as a mini vacation, but I should have. This is an incredibly beautify place and it was totally lost on me that the uber-rich of the 19th century had their summer palaces here. I used the word palace intentionally, these places are huge. 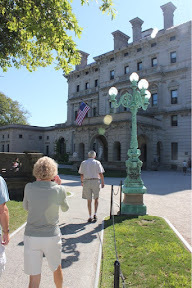 We visited The Breakers, the summer home of the Vanderbilts. The tour was fabulous and opulent and very well done. 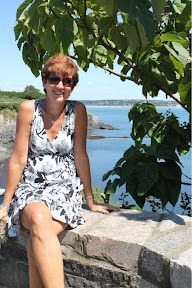 I highly recommend it as it is on of the best self-paced tours that I have ever taken. The tour allowed for additional levels of depth and stories about the house and the family. 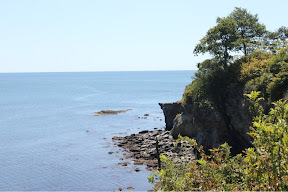 Following that, we walked part of the cliff walk behind the mansions along the bay. The scenery was beautiful, although the path is a bit narrow and yesterday there were lot of people on the walk. Following this, we checked out a local winery--yes, they make wine in Rhode Island. Like most northeastern wineries, the reds were thin, but the whites were surprisingly good. Yeah, we bought a few. I see now why so many people flock to this area for vacation. And it is even better if you happen to sail--the region is truly a sailing mecca.